We are used to hearing about and speaking of the TWELVE apostles of Jesus. But was it not possible that the group could have counted… thirteen apostles, or even fifteen? 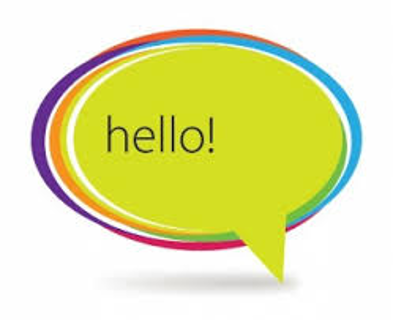 There is a text in Luke’s gospel (Lk.9:59-61) where we see Jesus calling some people who are not ready to follow him. 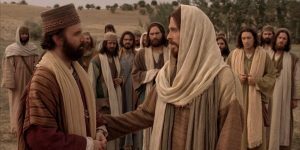 And today’s gospel text (28th Sunday of Year B – Mk.10:17-22) shows us another scene where, again, Jesus invites a young man to follow him but… this call is not answered. The young man wanted a better life, a life closer to God and more faithful to him. But his existence was already filled with too many things, with too many of the rewards that wealth can provide. May we overcome such a temptation and be spared such a fate. 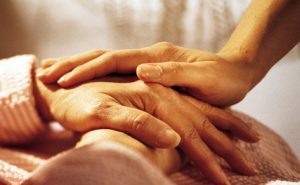 The Worldwide Hospice Palliative Care Alliance is pleased to announce the theme for World Hospice and Palliative Care Day 2018: Palliative Care – Because I Matter. This theme was selected following an open consultation with people directly affected by serious illness, WHPCA members and supporters, and global hospice and palliative care advocates. We chose ‘Because I Matter’ as this year’s theme, because it centres on the lived experience of people affected by serious illness, looking at what matters most, including the often-overlooked financial impact of palliative care needs on individuals and households. The theme also contains elements of human rights and justice, asking: If I matter, then why am I not getting the care I need? This year is the centenary of Dame Cicely Saunders, founder of the modern hospice movement. So it is fitting that this year’s World Hospice and Palliative Care Day theme draws its wording from her iconic quote: ‘You matter because you are you and you matter until the end of your life’. World Sight Day (WSD) is an annual day of awareness held on the second Thursday of October, to focus global attention on blindness and vision impairment. World Sight Day 2018 is on 11 October 2018. 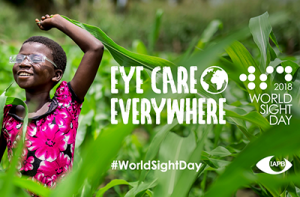 This year, the ‘Call to Action‘ for World Sight Day is: Eye Care Everywhere. 1.2 Billion people need #glasses to see better. More than 75% of visual impairment is avoidable. 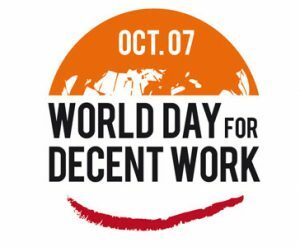 Workers from around the world will be holding activities to mark the 11th World Day for Decent Work on 7 October. This year’s global theme, “Change the Rules”, highlights the deeply entrenched injustice of the global economic system alongside shrinking democratic space and deteriorating labour rights in many countries, documented in the ITUC Global Rights Index. “The rules are stacked against working people, and that is why we have unprecedented and destructive levels of economic inequality and insecurity while a small number of global conglomerates like Amazon amass incalculable riches for a very few. There is enough wealth in the world to meet the challenges of our time – creating decent work for all, ensuring universal social protection, tackling climate change and all the other things that need to be done to ensure that people can live in dignity on a sustainable planet. But the rules need to change. And to achieve that, we need to build workers’ power. The World Day for Decent Work is an important milestone on the way to the ITUC World Congress in Copenhagen in December, where we will finalise an ambitious and comprehensive trade union agenda for change and economic renewal,” said ITUC General Secretary Sharan Burrow. With the presidential election in Brazil taking place on 7 October, unions will be stepping up the demand for former President Lula to be released from prison. Lula was unjustly sentenced to a 12-year prison sentence and, while he was by far the most popular candidate, prevented from standing in the election. The son of a king, or the daughter of the President of a country, do not hesitate to speak of their parents and their siblings. They speak with pride of their family and (usually) they are not ashamed to mention their origin. Strangely enough, to this day, I have never heard anyone boast – rightly so! – that he/she, is the son, or the daughter, of… God! Has this thought never come to your mind? 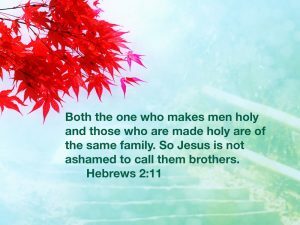 – for this is what we are as Christians! This reflection came to me as I read the 2nd reading of this Sunday (27th Sunday of Year B – He.2:9-11). The principle of non-violence, also known as non-violent resistance, rejects the use of physical violence to achieve social or political change. Many groups throughout the world use this method in social justice campaigns. Protest and persuasion, including marches and vigils. Non-violent intervention, such as blockades and occupations. The UN recognizes a philosophical connection between the human rights principles in its universal declaration and those that Mahatma Gandhi used. Gandhi was born in India on October 2, 1869. He is remembered today for his contributions towards India’s freedom and for sharing with the world a doctrine for dealing with injustice and disharmony. He taught people the philosophy of Ahimsa, which encourages the use of non-violence as a tool for the peaceful resolution of differences. India gained its freedom on August 15, 1947, through Gandhi’s efforts. He was assassinated on January 30, 1948. The UN General Assembly came up with a resolution in 2007 to establish the International Day of Non-Violence. The day aimed to spread the message of non-violence, including through education and public awareness, around the world. The resolution reflected universal respect for Gandhi and his philosophy. 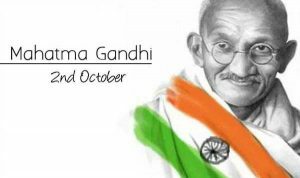 October 2, which is Gandhi’s birthday, was allocated as the day’s date. The first International Day of Non-Violence was on October 2, 2007. 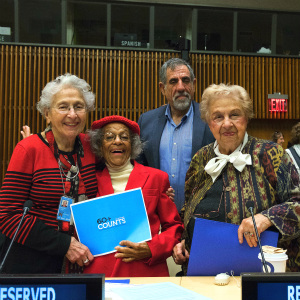 On December 14, 1990, the UN General Assembly made October 1 as the International Day of Older Persons, following up on initiatives such as the Vienna International Plan of Action on Ageing, which was adopted by the 1982 World Assembly on Ageing and endorsed later that year by the assembly. The International Day of Older Persons was observed for the first time throughout the world on October 1, 1991. In 1991 the UN General Assembly adopted the United Nations Principles for Older Persons. In 2002 the second World Assembly on Ageing adopted the Madrid International Plan of Action on Ageing to respond to the opportunities and challenges of population ageing in the 21st century and to promote the development of a society for all ages. read the words and the meaning that is hidden there. The two texts are similar and their message is equally so. What is depicted there is, unfortunately, something still very much part of our landscape in this 21st century. We see people trying to jealously keep some prerogatives. People refusing that some good can be performed by ‘outsiders’. People who try to prevent others to realize something positive as if it were their sole responsibility to do so. People who want those in authority to side with them and support their attitude. those others are not from among us! Power, pride, prejudice – all present there in a shameful display! 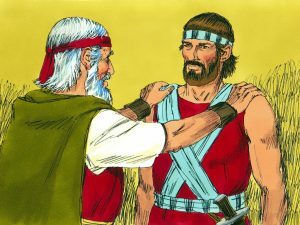 Moses, the wise leader, has the right answer as he replies to Joshua – an old saying which would serve us well. If only… we lived according to it. New York, USA, 19 December 2017: The United Nations General Assembly has declared 23 September as International Day of Sign Languages. The resolution (A/C.3/72/L.36/Rev.1 – International Sign version here) was initially adopted by consensus during the 48th meeting of the Third Committee of the United Nations General Assembly on Thursday, 16 November 2017 and officially adopted today at the 72nd United Nations General Assembly. The resolution was proposed, or sponsored, through the Permanent Mission of Antigua and Barbuda to the United Nations, following an original request by the World Federation of the Deaf (WFD). The WFD worked with its country members to garner support from their respective Permanent Missions to the United Nations, who have the power at the United Nations General Assembly to vote for adoption of the resolution as co-sponsors. The resolution was co-sponsored by 97 United Nations Member States and adopted by consensus. The choice of 23 September commemorates the date that the WFD was established in 1951. This day marks the birth of an advocacy organisation, which has as one of its main goals, the preservation of sign languages and deaf culture as pre-requisites to the realisation of the human rights of deaf people. 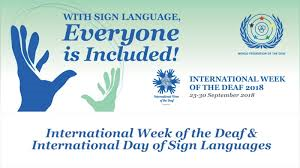 The first International Day of Sign Languages will be celebrated on 23 September 2018 as part of the International Week of the Deaf. 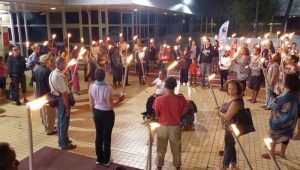 The International Week of the Deaf was first celebrated in September 1958 and has since evolved into a global movement of deaf unity and concerted advocacy to raise awareness of the issues deaf people face in their everyday lives. Many of the gospel texts are well known to us – we know the stories; we know the people and the facts. We remember the parables and their message. The words of Jesus, at least many of them, echo in our memories. Yet, I wonder if, at times, some important detail does not escape our notice. This question came to me after reading the text of this Sunday’s gospel (25th Sunday of Year B – Mk.9:31-37). trying to be seen as more important than the other next to them. A lesson on being the servant of one another is what they need, obviously. Jesus will not fail to teach them this in his own typical manner. He does so in a surprising way. “If anyone wants to be first he must make himself last of all and servant of all. This is the detail: the child is important to Jesus, he matters! the corresponding counter current: ‘WHITE LIVES MATTER’. we NEED to be important to other people. 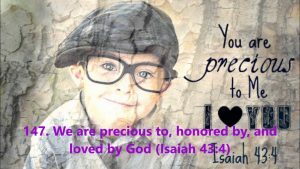 And the good news is that we do matter, we are important to God!